Denver TV news anchor Kyle Dyer received a skin graft and 70 stitches after a dog bit her face during a live newscast. As she recovers, she may be considering a dog-bite lawsuit for personal-injury damages. The dog bite happened Feb. 8, when an 85-pound Argentine mastiff named Max and its owner were guests on KUSA-TV's 9News, the Associated Press reports. Anchor Kyle Dyer knelt down to caress the dog, which lunged and bit her in the face. The dog was quarantined and later released, and will not face further consequences, an animal-control agent told the AP. But the same can't be said for Max's owner, who faces misdemeanor charges -- and possibly a civil lawsuit, which Colorado law explicitly allows. A Colorado statute allows for civil dog-bite lawsuits against a dog’s owner if a bite causes serious injury or death. Like other states, Colorado seems to impose strict liability for a dog bite: It doesn’t matter if the bite occurs on public or private property, nor does it matter if the owner knew the dog had vicious propensities. In other states that don’t impose strict liability, a victim usually must prove the dog owner knew, or had reason to know, the dog had dangerous tendencies. That’s a point of contention in many dog-bite lawsuits, as a court may consider a wide variety of factors like the dog’s breed, size, aggressiveness, and an owner’s warnings to others. But dog owners can defend themselves from a lawsuit’s bite. For example, victims who provoke a dog or ignore a dog owner’s warnings generally cannot recover damages. 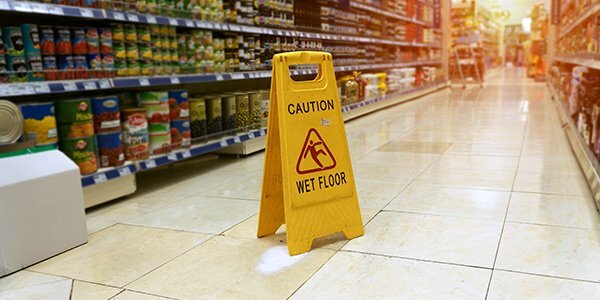 In legal terms, the victim is barred by her contributory negligence — failure to exercise reasonable care for her own safety — or her assumption of the risk in ignoring warnings. In 9News anchor Kyle Dyer’s case, a potential personal-injury dog-bite lawsuit may fail because Colorado doesn’t hold a dog owner liable if a victim “knowingly provokes” a dog. Experts and many dog lovers who’ve reviewed Dyer’s dog bite video say Dyer got too close to the dog, causing it to instinctively snap. As for Max’s owner, he’s charged with allowing a dog to bite, the AP reports. But if a court finds Max was provoked when the dog bit the news anchor, that defense would fend off both the misdemeanor charge, as well as a potential dog-bite lawsuit.